I had one of these last week for the first time. I really enjoyed it. Totally agree with the smooth and cedery. Possibly even a bit buttery. Nice review. You're spot on with the buttery, I actually got a buttered corn bread taste out of it, when I told my brother about it he gave me a strange look. I haven't had one yet, but I'm looking forward to it. I love all the Graycliff I've had, so far. I've got a couple 5 packs I've been sitting on, but haven't tried them yet because everything else I've had with that san andreas wrapper has always done much better with plenty of rest. Do you guys feel like this is one that needs lots of rest before it's enjoyable? ie 6+ months. good smoke with some age on it. good thing i like putting them away for some time before i smoke or even send them out. I love these and always have them in stock. I was always a full body/full spice kind of guy and I've noticed the past few months that I was going to more of a medium stick and these fit the bill. I still love a full cigar but it took me a while to realize that pepper doesn't have the main source of flavor. This review inspired me to light up one of the Turbos I have in the humi. I enjoyed it, as I do with most Graycliffs, and I was glad to have read your review first. Otherwise I wouldn't have expected such a mild smoke and I might have been disappointed. This also inspird me to fire one up! I've had it in the Humi since sometime last year when someone sent it ot me while i was on the ship. Nice burn, a touch creamy, a little cedar, almost like cotton candy at the very end of the finish. I really like these, and thats saying a lot since i hate the entire graycliff line(havent had a dbl espreso yet though). Dont know how they are if hey are younger, guessing this one has atleast a year on it, pretty dmn good. They're good younger too. One of my favorites for a nice mellow, but interesting stick. 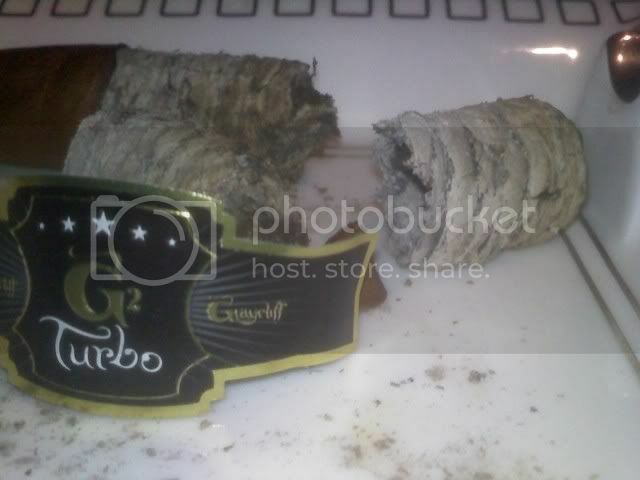 I won a bid for a mazo in cigarbid.com, last month. I have tried about five since then. I like them...for me they are medium; but flavorful. What I don't understand is the surreal retail price of 400. That is something like a joke. For me, this cigars are good, but not close to my loved La Aroma de Cuba inmensa, or even Cain Daytona.